Cortland Lioi is an investment sales professional specializing in the disposition and acquisition of single-tenant net-leased properties nationwide. With an emphasis in auto service, Cortland focuses on real estate associated with the quick lube and oil change industry, including, AAMCO, GoodYear, Midas, and Valvoline. 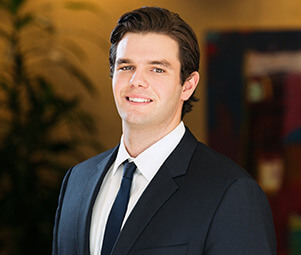 He utilizes his real estate investment knowledge to cultivate long-standing relationships with the industry’s leading private clients, developers, private equity firms, and REITs. Cortland’s specialized industry knowledge of the auto service industry and commitment to putting his clients first aids in driving his clients towards their investment goals.